Friday Fashion: From Paris to Bombay — Sukio Design Co. 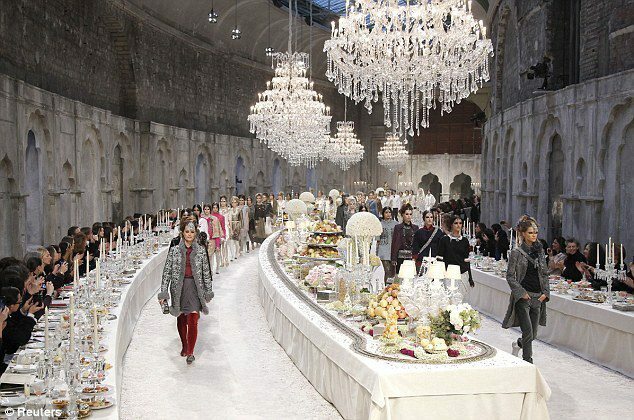 Whether or not you like the fashion, Chanel definitely knows how to throw a party! The fashion house's runway shows seem to get bigger and better with every season. This week's Métiers d’Art channeled the glamour of India, transporting guests from Paris to Bombay (or shall I say Mumbai). "We’ve had Paris-London, we’ve had Paris-Shanghai, so it felt like time to go off the circuit, to somewhere less expected"
A closer look at the sparklies used to adorn Karl's creations. How pretty!